Youâ€™re doing WHAT with that traffic cone? The same thing youâ€™re doing with those bellows, that plastic recorder from third grade, and your grandmaâ€™s old teapot. Youâ€™re crafting it into a state-of-the-art bong, hookah, pipe, or vaporizer! This hip manual for todayâ€™s DIY smokerâ€”featuring 35 ingenious projects for crafting unique bongs from watering cans, pineapples, electric fans, and moreâ€”is perfect for penny-pinching stoners, eco-conscious cannabis rights advocates, and creative tokers ready for the bong revolution. So bust out those household materials and get crafting! With pimped up projects made from unexpected objects, this colorful book and the wares it produces will keep you chucklingâ€”and tokinâ€™â€”for hours. 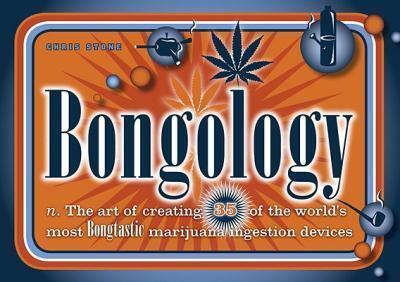 Yes, Grasshopper: Bongology is the way for artisticâ€”or just plain crazyâ€”stoners like yourself to take your craft to the â€œhighestâ€ level.